The Anselm Corpus can be accessed via the corpus query tool ANNIS. Alternatively, we provide compressed archives with the individual texts in CorA-XML file format; when extracted, the total size of the files is around 135 MB. PDF versions of the texts are available in the overview tables corresponding to the German and Dutch texts. 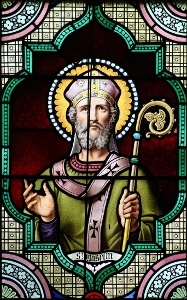 The Anselm Corpus is licensed under a Creative Commons Attribution-ShareAlike 3.0 International License.